HMRC are once again alerting professional contractors to the dangers of using tax avoidance schemes involving loans. "Contractors and freelancers are bombarded by promoters who make claims that they can help individuals take home as much as 80% to 90% of their income. Sounds too good to be true, that’s because it is...(HMRC's) view is that these schemes don’t work and strongly advises any contractor or freelancer who has used such a scheme to withdraw and settle their tax affairs." Despite extensive measures by parliament to warn contractors and also block tax avoidance schemes or "tax strategies", as they are now known, tax strategy promoters clearly see contractors as a soft target. An upfront fee is paid to the promoter, by the contractor, and from this there is also an introduction fee paid to accounting firms who sign up their clients, something not always divulged to contractors. A key disadvantage of many of the loan schemes is that any loan related to a person's employment will bring about an employment benefit charge unless the contractor is paying interest on their loans. Many contractors who signed up to loan schemes in the last ten or so years have realised that they actually end up paying more in scheme fees and taxable benefits than the tax that they thought that they were saving. A fact that is never pointed out by promoters or other advisers. Loan schemes have been around in various guises for some 20 years and parliament has gradually introduced various measures over the years to combat them. Initially these were to block corporation tax relief and the disguised remuneration rules in Part 7a ITEPA 2003 have been very successful in reducing EBT type based loan schemes. The 2019 loan charge will ensure that all outstanding disguised remuneration loans as at 5 April 2019 are subject to tax, unless a settlement has been agreed with HMRC before that date. Part 7a applies by taxing as employment income loans made to employees via trusts or sub-trusts or other intermediaries. The new generation of loan schemes aim to avoid Part 7a by allegedly operating on a commercial basis. Strategy promoters claim that this type of planning is legitimate and well known and so there are no disclosure issues for taxpayers who therefore hope to move under HMRC's 'radar'. It is claimed that the schemes do not fall into the General Anti- Abuse Rule (GAAR) because this type of planning has been know about for the last 20 years and therefore cannot be blocked, although they do not go into the full detail as to why they successfully bypass Part 7a and so this claim is uncertain. They will often cite by way of example the fact that HMRC has lost various high level tax cases involving loans over the years. These strategies are generally backed up by counsel's opinion, although it would be very difficult for any strategy user to test that. Many of the original tax scheme promotion companies have now disappeared, they have been replaced by promoters who in general prefer to be located in the UK's Crown Dependencies or abroad. 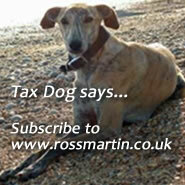 HMRC will challenge the scheme and ensure users pay the correct amount of tax. You should take impartial advice on your contract work and not rely on the promoter who is selling you the scheme.